Synthetic hair, the Flawless Foundation Brush has been packed with fibres of a certain length allowing it to glide over your skin making the application of your foundation smoother, easier and your look flawless. To apply foundation in the smoothest way looking flawless. This brush works with a real variety of foundations from thin to much thicker. There is no other brush on the market that can make foundation application so easy and so smooth. This is for you if you want your foundation to sit flawless and great for those who want to layer their foundation thicker. Using the back of your hand distribute your foundation, stipple, and spin your brush until the product is evenly applied over the bristles. Starting at the nose glide brush downwards towards the jawline over your skin, gently, so not to splay the bristles. Keeping the flat of the brush straight. Layer all the way along the cheeks from your cheekbone down. Apply softly to the forehead using a fan shape up to the hairline. Stipple the brush with the excess product under your eyes. 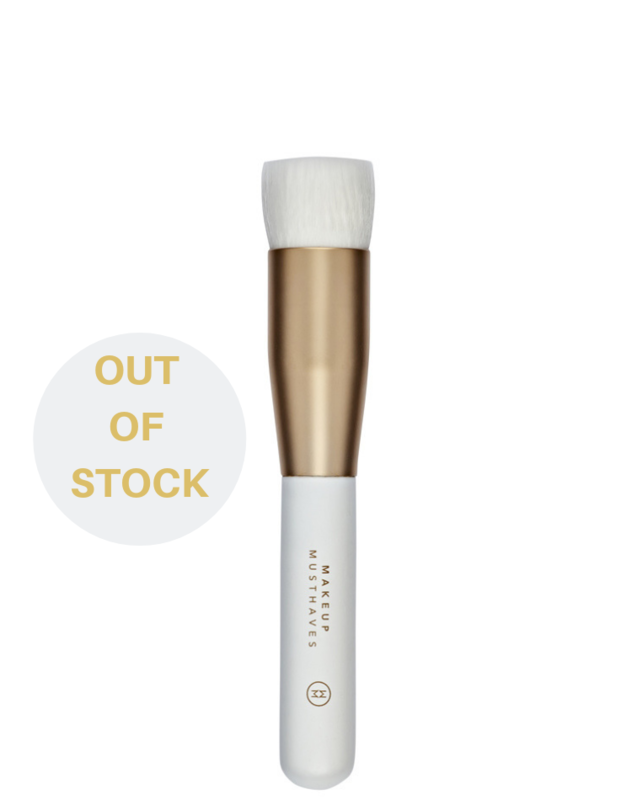 This brush can also be used to stipple foundation, as only a very light layer of product is transferred onto your skin. This is a great method of application for areas where there is a dramatic contrast between concealer and foundation allowing them to appear blended. This brush can also be used to stipple extra product on more transparent areas if for example your foundation doesn’t have the best coverage.